Turn based rogue-like with permanent death. Run focused campaign, playable in short bursts. Fill a huge inventory having 20 slots. Find more than 100 crazy artifacts, all of them unique. Learn the ins and outs of an RPG system which feels approachable and fresh, but familiar and deep at the same time. 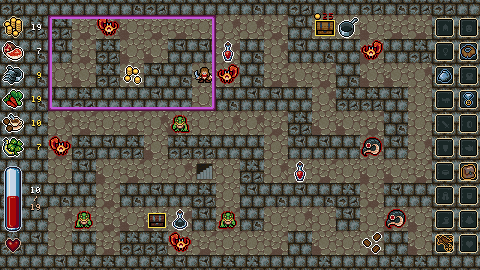 Crawl in procedural dungeons generated from hand authored layouts. Collect details about monsters and artifacts in your journal. Unfold a funny story, packed with vicious evils, puns and jokes. Immortalize your best playthroughs in the "Hall of Fame". What is this 20 slots, 100+ unique artifacts RPG nonsense? I will share some details about my short term plans soon, but I'm devoting this entry to a long-overdue I Am Overburdened update! Version 1.2.0 is live and the highlight of it is the save-game feature! Besides this one major addition, it is mostly a bug-fix and tweak build. 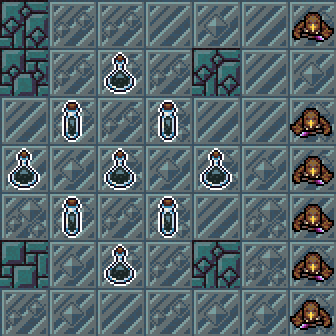 Finally the game can be suspended in the dungeon and continued later. Since a full play-through is relatively short plus I Am Overburdened is primarily a rogue-like and save-scumming would undermine this core idea so only one save slot exists. Of course more could be added with slots only having a continue option if there are genuine requests for it, but I think the game works well this way. This is more like a convenience feature to be able to stop playing at any point you wish and finish the run when you have the time to spare. The pause menu had to be reorganized a bit, since it was already crammed. As you can see it's cleaner now and the last option saves and closes the game. I would like to create a more technical post too about this specific feature. Kind of like a tutorial about aspects of save systems. Let me know if you are interested! The immediate exit hot-key was remapped from F10 to F9. Sorry about this change, it was a necessity (os/platform reasons), but as a bright side it also supports saving the game. So now if you hit F9 during play and the game could be continued (e.g. : the player is not dead :) ), the state will be saved just like when saving and exiting using the pause menu. This change is already reflected in the input guide. Few items and their related skills could cause a crash under super specific circumstances. It's not likely many of you run into these issues, but if your play was interrupted by a crash I'm sorry. Certain item skills with persisting effects (e.g. : Fear, Cripple) could get stuck or be triggered on freshly summoned/resurrected monsters in rare cases. These were not visible, but could affect how well you did, so my apologies for the occasional unfair (de-)buffs. The positioning of hallucinations from toxicity effects (e.g. : Toad monsters, poison in potion) were not correctly randomized. These hallucinated monsters were always placed in the upper-left quarter of the map, breaking the illusion. Now this is fixed. A while ago I added item-slot notifications to item pickups and chests when standing nearby. It did not occur to me though, that with this modification the treasury pickups and chests triggered unnecessary ones too. Oops, fixed! These changes are subtle, so they keep the game challenging, but they were introduced to make it more fair at the same time. Some people found the boss level corpses confusing. I don't know if the new version will work out better (this is not the first time I change this :S ), but now the number of corpses (below the one serving as the story hint) are tied to the unlock progress of the boss entry in the monster book. Yes, pretty much. Due to personal and financial reasons I had to put full-time game development on hold for a long while, but I'm back now and I will be working on my projects in the upcoming months. Before I vanished from the face of the INTERNETZ I teased possible ports and a bigger content update for I Am Overburdened. These are not forgotten and progressing well ;) In a week or two I will reveal more details about my plans. Until then, have a fun-filled time. Version 1.1.8 is online, featuring mostly fixes and fine-tunings, but lets see in detail what it has to offer! I Am Overburdened, where have I been? 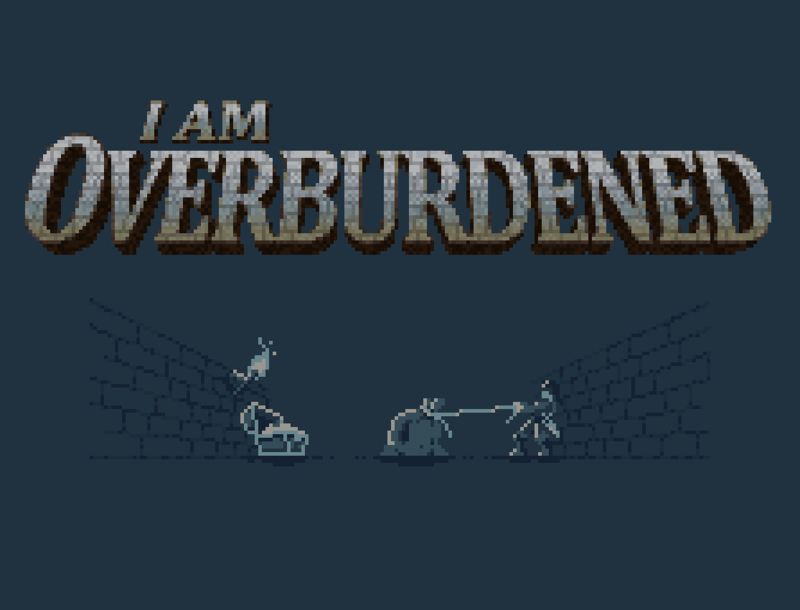 I've just released another update for I Am Overburdened. It is now at 1.1.4. and received quite a few enhancements since its first major update. Input guide, detailing all the possible control schemes and supported input devices and listing all the hot-keys in the game. Official guide, showcasing how the "developer" tools for localization and QA can be used and how new languages can be added to the game. Looks awesome, definitely adding it to my wishlist!